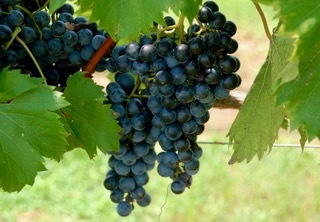 Arizona’s high elevation vineyard and winery at 6,000 feet is located in the White Mountains of northeastern Arizona. Red Rock Ranch Vineyards is part of an evolving Arizona wine circle tour that can now include northeastern Arizona. Vines grown at Red Rock Ranch Vineyards: Barbara, Malbec, Petit Verdot, Pinot Gris, Pinot Noir, Riesling, Sauvignon Blanc and Tempranillo. The vineyard shares the ground with lavender fields. The high altitude, pristine climate and ecosystem is ideal for growing both grapes and lavender following in the steps of Southern France. It all began in 1996 with the planting of lavender. 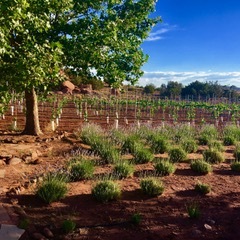 Planting a vineyard was a complimentary pairing with the lavender fields. The lavender grown (now 35,000 plants) and the products and lavender plants sold have been a success story and each year a lavender festival is hosted when the lavender is in bloom.